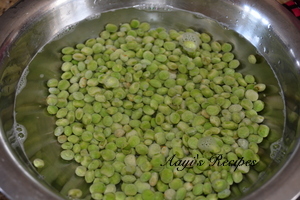 I was introduced to frozen tuvar lilva (pigeon peas) by my friend P. She makes a delicious bhaji with these and sweet potatoes. 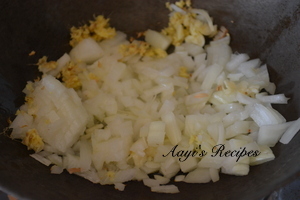 This tuvar lilva bhaji must be one of my favorite dishes cooked by her. I have tried to pair this with sweet potatoes, normal potatoes and even paneer. 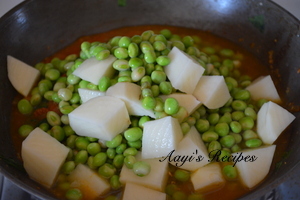 It makes for a healthy and tasty side dish to go with chapatis/rotis. Last time I added some spinach to it and it was delicious. I normally make this directly in pressure cooker to save time. 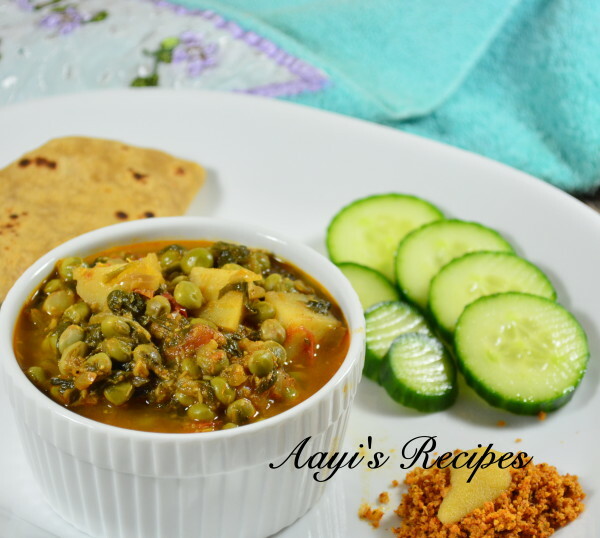 Also check tuvar lilva in coriander masala recipe. 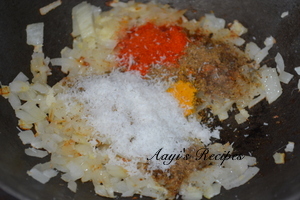 Add all masalas followed by tomatoes. 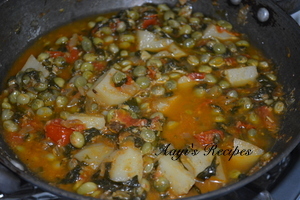 Add spinach, tuvar lilva, potatoes and cook till done. Heat oil and fry onions, ginger-garlic paste. When they turn translucent, add garam masala (or goda masala), coriander-cumin powder, coconut, turmeric, chilli powder, salt. Fry for few minutes. 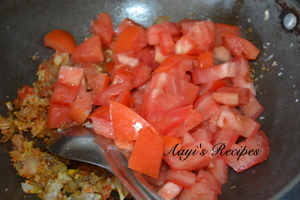 Then add tomatoes and cook till they are mushy. 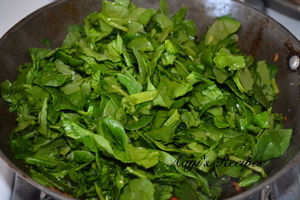 Add spinach, potatoes (or sweet potatoes or paneer), tuvar lilva, half cup water. Cook till potatoes and peas are cooked. Looks yummy and also easy recipe. Will give try. Thanks for sharing the recipe.